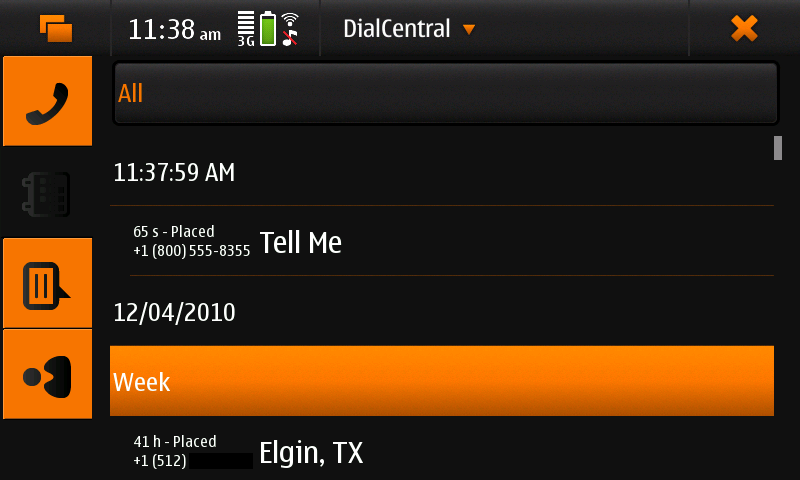 DialCentral (formerly called GC Dialer) is meant as an interface to Google's GoogleVoice service that integrates with your Maemo device or Linux computer. Note that a call was placed relatively recently since it is under the refresh time. There is nothing else during the day the history was refreshed. Several items in the previous week. 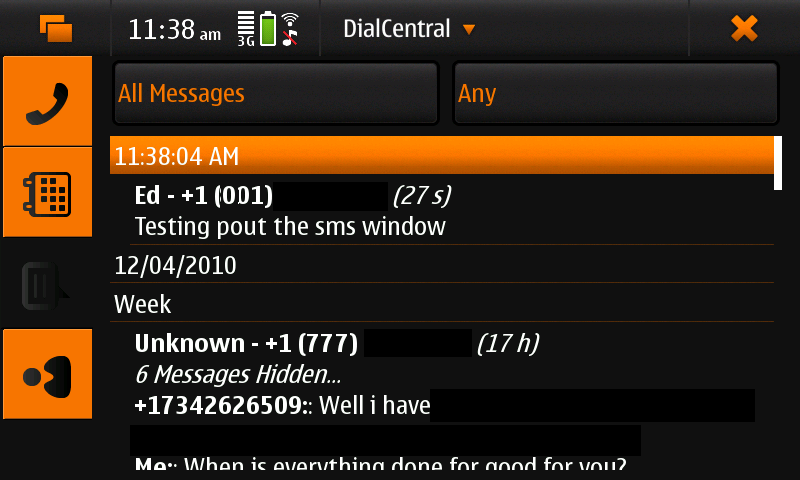 Note that a text was sent relatively recently since it is under the refresh time. There is nothing else during the day the history was refreshed. Several items in the previous week. 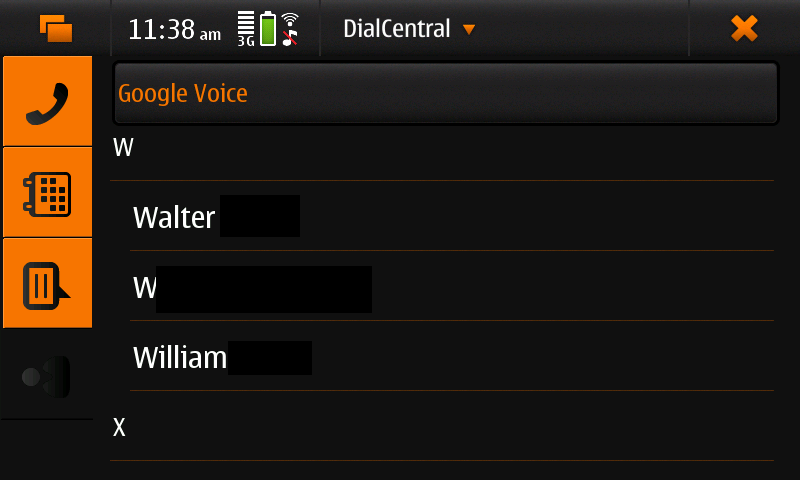 Supported columns with the following in their names "name", "phone", "mobile"
Known to work with GoogleVoice and GrandCentral exports. 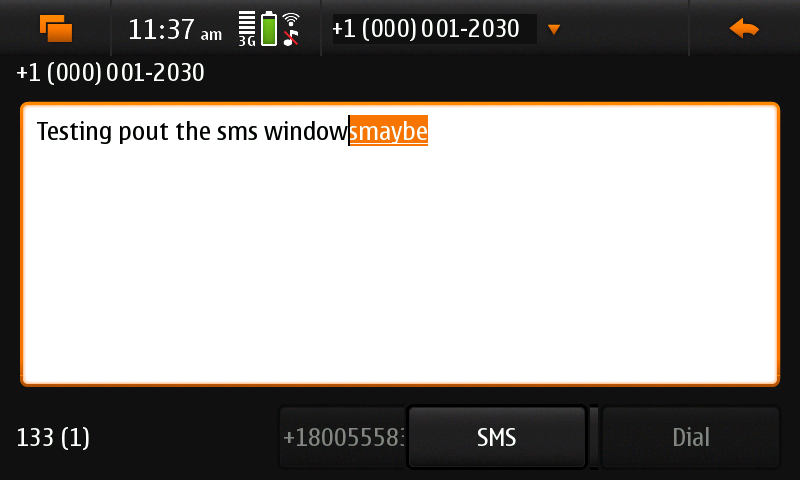 Are the Call/SMS buttons grayed out? 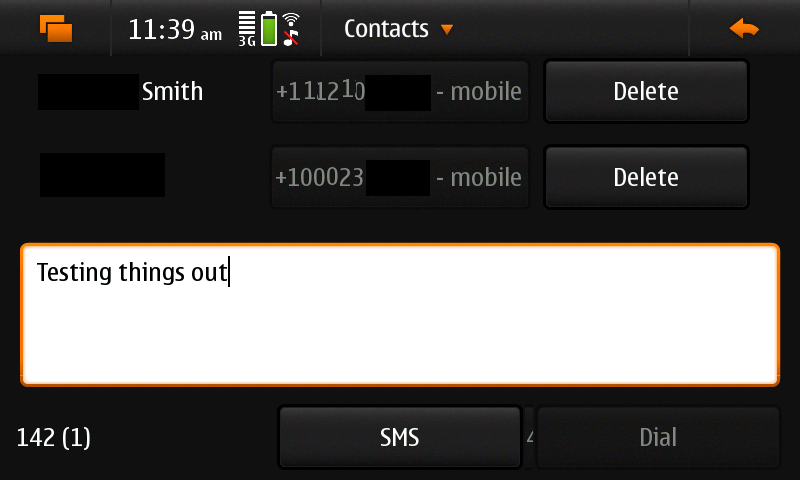 In the account configuration, is a callback number set? Did you enter the area code? The views show stale data? 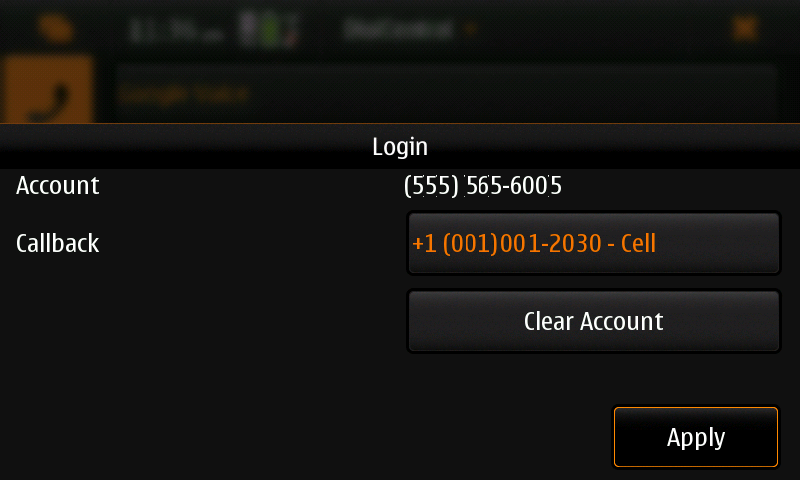 Go into the menu and select "Refresh"
From what tab are you having issues (Dialpad, Recent, Messages, Account Info)? 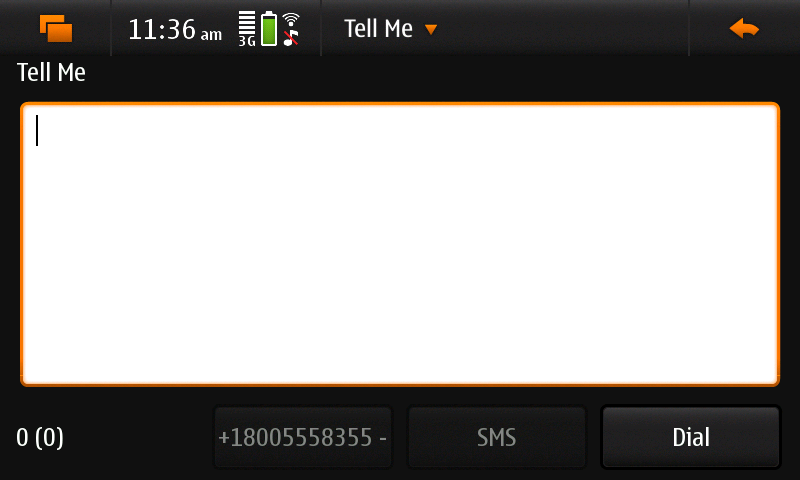 Is it a US or international number? (For the advanced) Could you post the contents of "~/.dialcentral/dialcentral.log"
Note that this writes a bunch of files with sensitive information to the current working directory. Please gather those up, scrub them if desired, and send them to me directly to avoid sensitive information from being leaked out. There is a chance I broke things, but there is a chance you are hitting an issue due to bad packages in extras-devel. So it looks like the version of PyQt in extras-devel is broken but not the one in extras. 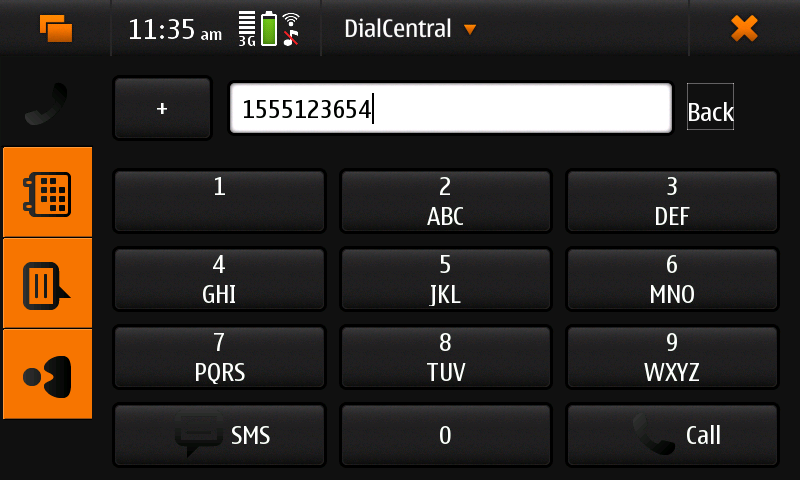 Installing DialCentral while extras-devel is enabled will pull in the broken version. So let's avoid that. Really if you want this, maybe you should be using The One Ring. This page was last modified on 23 March 2012, at 09:04. This page has been accessed 25,602 times.